Whether you're a beginner or an athlete, setting yourself realistic goals is crucial when embarking on your fitness journey. It's important not to compare yourself to others when it comes to fitness because everyone has different goals and means of achieving them and ultimately you've got to do it for yourself. In the athlete world this may be classified as a breakthrough; a verb referring to what athletes do. Athletes break through speed and running barriers as means of achieving their specific goals. In today's post I've teamed up with Nike to motivate you on ways in which you can achieve your breakthrough running goals whatever they may be. 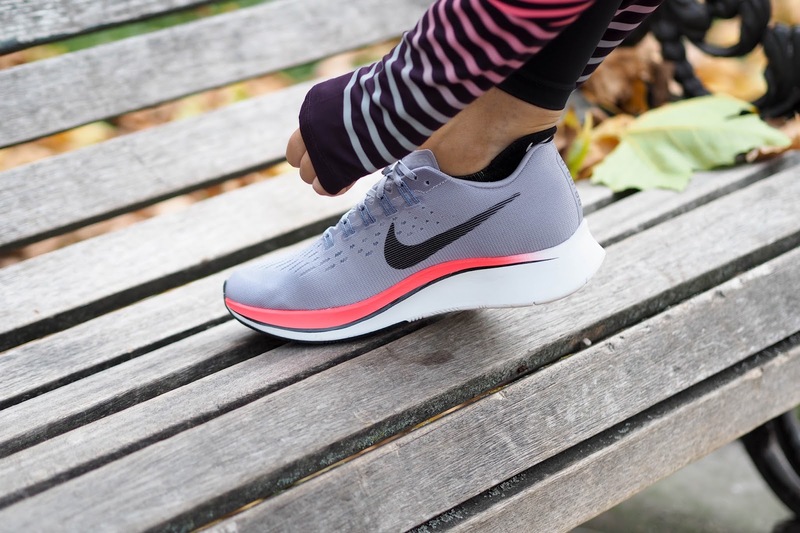 Specifically, with the new Nike Zoom Fly trainers which boasts a number of technical aspects to achieve your running goals. 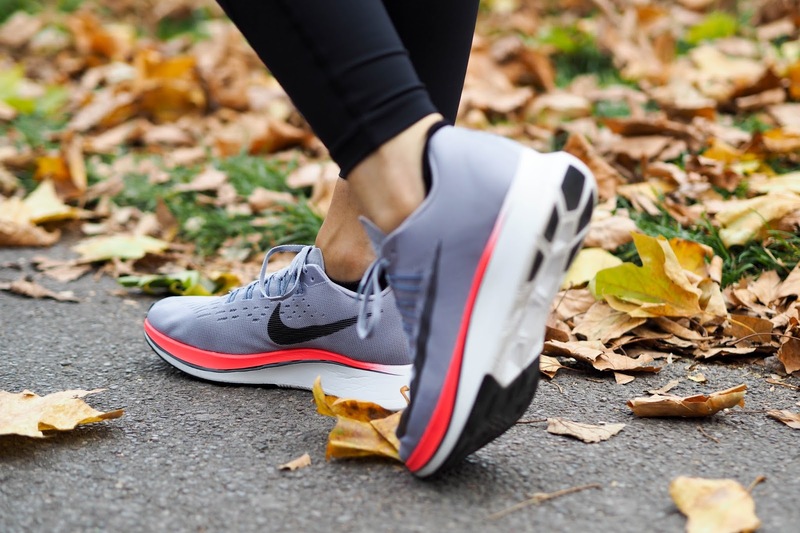 That spring in your step which you may be lacking can quite literally be achieved with these new performance induced trainers. Since January of this year, I have really begun to take fitness seriously and as such the start of the new year spurred me to get in better shape and work on my overall fitness. I've always had a relatively good physique (I mean this in the least arrogant way possible by the way) but training is more about improving my body confidence as well as the positive effects it has on me both physically and mentally. You can be naturally slim but still not feel comfortable with your body. On average I train around 4-5 times a week, targeting a different body part each day but focusing on lifting weights and ultimately toning up. I incorporate some cardio into my workouts but personally find sprints to be the most effective at burning fat but also making you sweat. Like anything, I like to set myself challenges and for me this was to increase my overall speed when running on the treadmill but also feel comfortable doing so. I don't know about you but I was often reluctant to step foot on a treadmill in fear that anything less than Usain Bolt worthy would be laughed at. Ridiculous I know but sometimes unless you're a pro, fitness can make you feel like an absolute amateur. 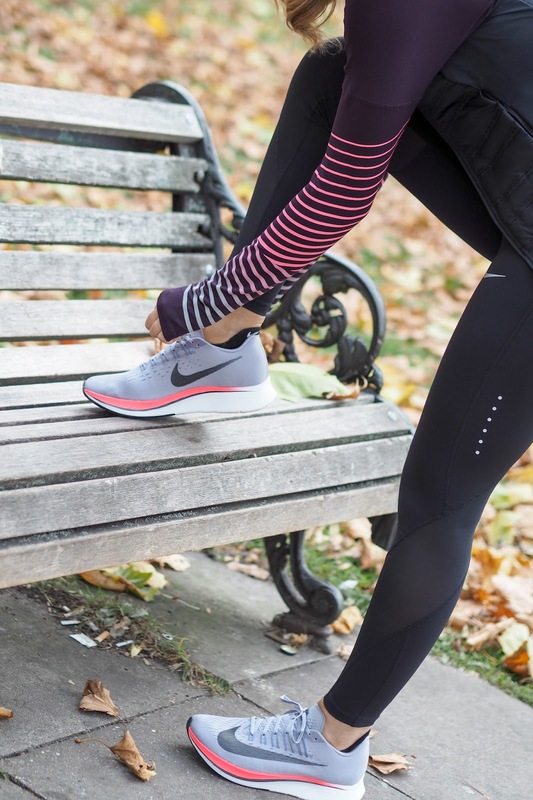 These Nike Zoom Fly Trainers are both lightweight and provide responsive cushioning for secure speed which is just what I need when tackling those sprints during my HIIT workout sessions. If I could compare these trainers to anything in literal terms it would be a cushion. Not only does it feel extremely lightweight and supportive on my feet, tucked inside the responsive foam is a carbon infused plate. Sounding a little bit technical? What this basically means is it has the added benefit of keeping your pace quick by creating a sensation of falling forward, almost like a rocking horse. 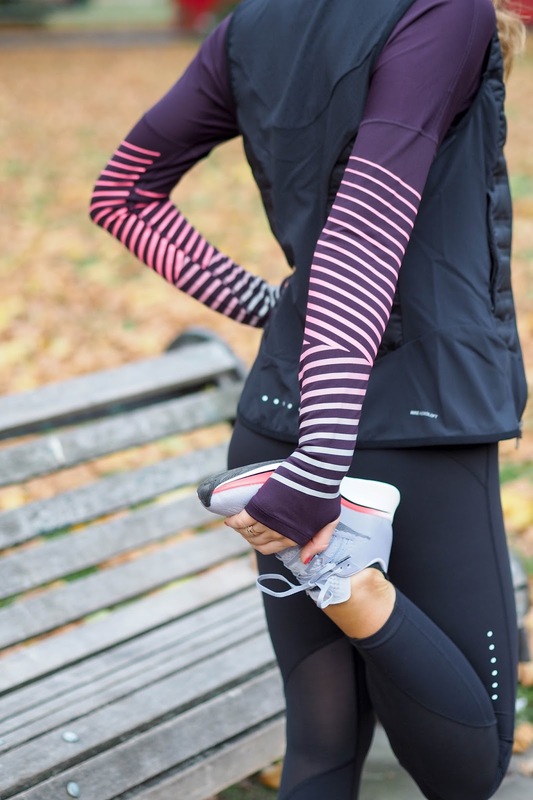 The result is ultimate comfort as well as maximum speed making you ready to achieve your personal best whether that be for a marathon you may well be training for or just a weekend run around the park. You don't have to be an athlete to wear the latest Nike Zoom Fly trainers either but believe me it sure will make you feel like one. 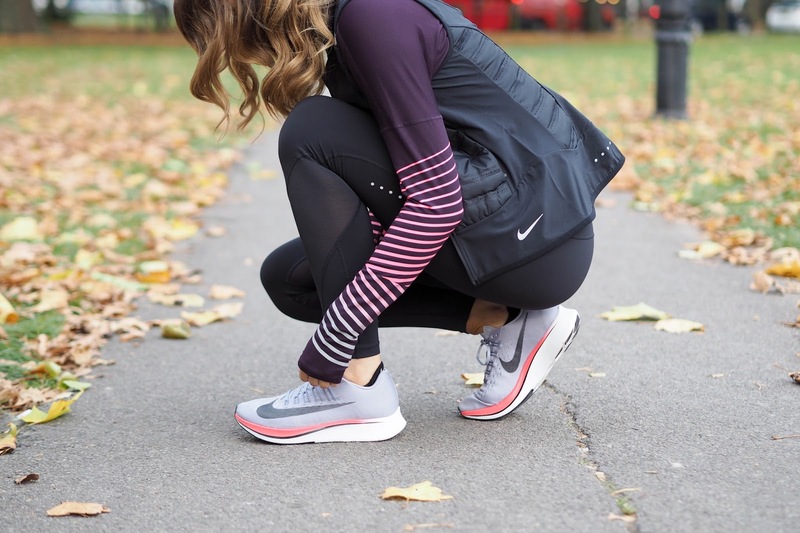 When picking trainers particularly suitable for cardio, I always struggle to find a pair that are both comfortable and supportive. If you think of the pressure we put our legs and feet under when pounding on a treadmill or even when running outside it's vital we have the correct footwear not only to protect us from injury but also to get the maximum performance out of our workouts. I simply cannot get over just how comfortable these trainers are and I love to pop of colour too. The black and white version are also pretty fly too which you can see here. Whether you're planning on running your first marathon or simply looking like myself to improve your time and speed when doing cardio sprints, I would love to know what your break through goal is and how you plan on achieving it. Just remember not to compare yourself to others. Your breakthrough goal should be unique and intrinsic to you. 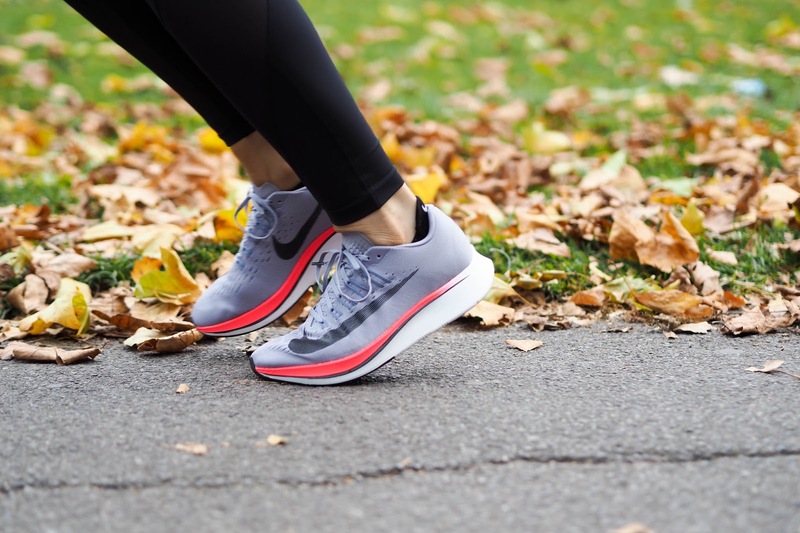 Writing your goal down whether that be putting pen to paper or even on your Nike Zoom Fly trainers setting yourself a gentle reminder could be the motivation you need to achieve that breakthrough goal. I don't know about you but when it comes to working out what you choose to wear in or out of the gym is key. 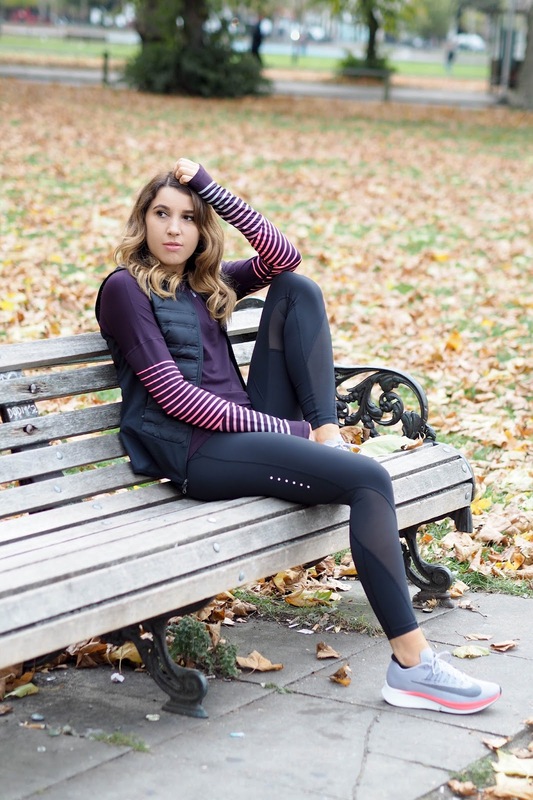 There is nothing worse than activewear that is uncomfortable and don't even get me started on leggings that fall down the moment you start running. I always favour quality over quantity and this is exactly why I am such a fan of Nike in general. 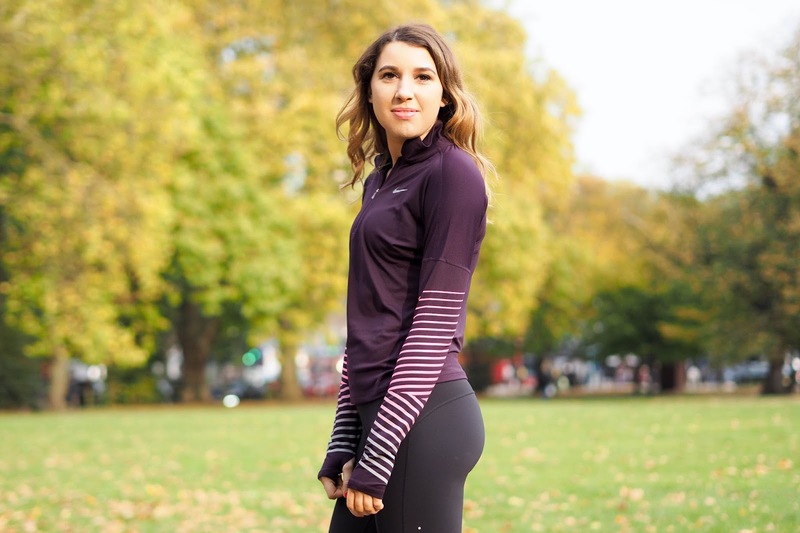 I find the leggings and sports bras in particular super flattering, comfortable and supportive in all the right places which is exactly what you need when undertaking any sort of intensive training. Don't you agree? 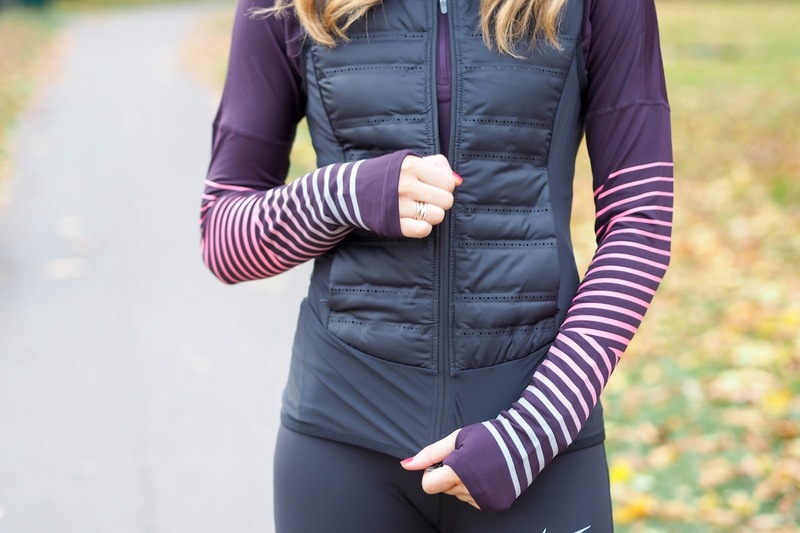 I am loving the colour palette of this Nike long sleeve running top and how cute is this gilet? 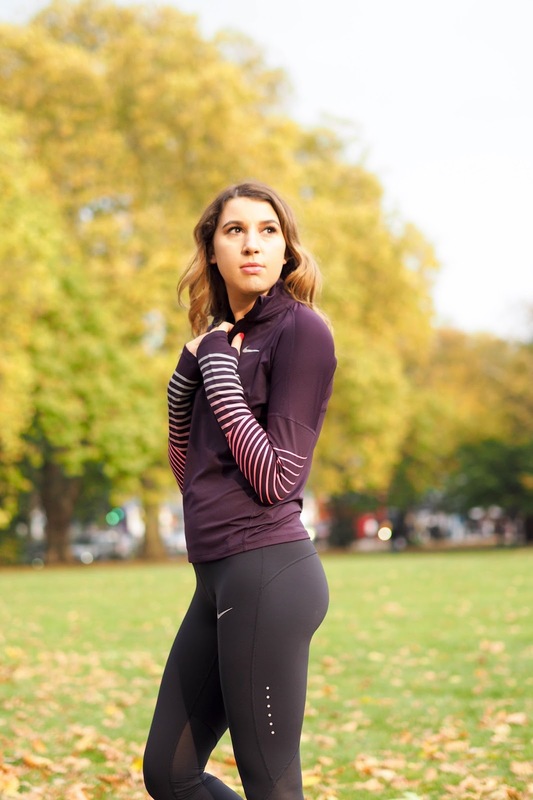 It's absolutely perfect for the chillier days when perhaps you want to venture outside for a run in the park rather than feeling confined to the belt of a treadmill. This post was sponsored by Nike. All words, photography and styling are my own. 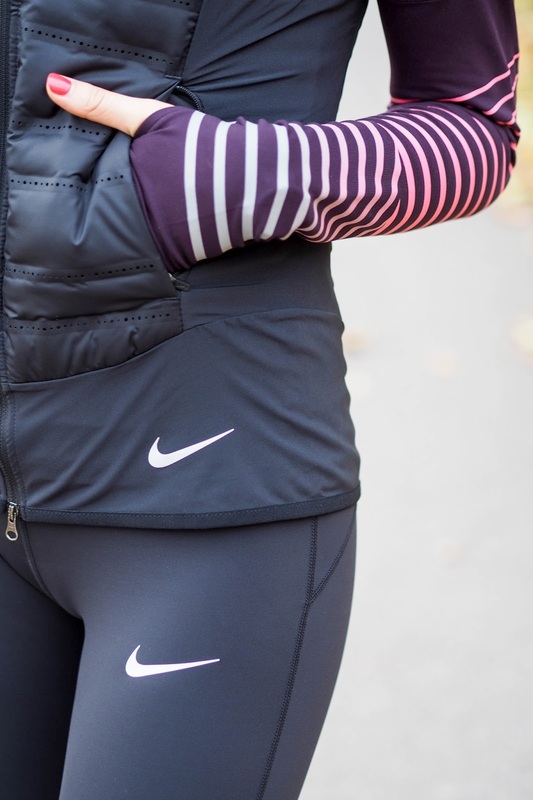 I totally love what you are wearing,Nike has been my favorite brand for a very long time.They have the best things, And your post was really motivating!